While the jury is still out as to whether or not the H.I. memo leaked by Gleick is a forgery, many are concerned that this incident may tarnish the credibility of climate science and its consensus. Peter Gleick, president and founder of the Pacific Institute climate research group who fraudulently obtained the documents has admitted to a “serious lapse of my own professional judgment and ethics,” and resigned from his posts on the board of the National Center for Science Education and the chairmanship of the American Geophysical Union task force on scientific ethics. Now a few things come to mind. For starters, regardless if this memo was a fake or not, the climate denial machine already has a long history of strategic memos that were leaked. In 1991, the Information Council for the Environment (ICE) was created by coal and mining associations with the objective to “reposition global warming as theory (not fact) if not a myth” and “attack the proponents [by comparing] global warming to historical or mythical instances of gloom and doom.” ICE disbanded soon after internal memos were leaked to the press. While Luntz has finally come around to believe in the reality of global warming and agrees with the consensus, the damage was done and the denial machine continues to challenge the science and emphasize uncertainty. 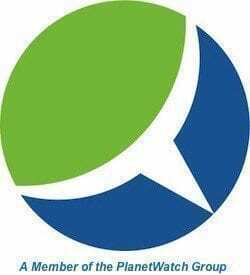 My second thought and again irregardless if the memo leaked by Gleick was a fake, why ever is the Heartland Institute in such a frenzy, so outraged, so indignant? As in the words of Bast, “Left-wing bloggers are filling the blogosphere with quotes from the fake memo, claiming it reveals our “hidden agenda” and “secret plans.” Oh no, sound the alarm! Look, we all know that H.I. is a key player in sowing doubt and denial, nearly a poster child for the strategies outlined in the API memo. Their publication Environment and Climate News, “the monthly newspaper for common-sense environmentalism,” currently runs with the headline, “Climategate 2 Reveals Further Scientific Misconduct, Doubts.” Their list of contributors, speakers, fellows, so-called experts is a shining constellation of prominent deniers: Sallie Baliunas, Lord Christopher Monckton, Ross McKitrick, Christopher C. Horner, William H. Gray, Myron Ebell, Willie Soon, Tim Ball, PhD, Richard Lindzen, Bjorn Lomberg, Pat Michaels, S. Fred Singer, et al. So, is it defamatory to assert or even reveal that H.I. has a “hidden agenda” and “secret plans” to dispute the reality of global warming? Actually, maybe it is since they’re not being all that secretive about it – nor is their intent to debate and dispute climate science (or any science that threatens the free market) very hidden. You bet they do… Cripes, they nearly invented it… in this decades long, fully-funded, industry agenda-driven propaganda campaign to distort, debate and defame the science and reality of anthropomorphic global warming and climate change. All to ensure that we remain content with business, or rather fossil fuel profits, as usual. And despite Gleick’s actions, which were dishonest, dishonorable, bad and wrong, we are still amateurs at the game – that is if we really wanted to play it and resort to their deceptions or even their obvious tactics like the editing and censoring of news items or federal documents. Really… yes, they do understand the game alright but just whom are they talking about? Surely not the left who is now in a tizzy about Gleick’s unfortunately questionable means to reveal the conscious efforts to deny climate change. But hear this, those of you who fear that scientific credibility has been tarnished, we can worry about this so-called Gleickgate, this Fakegate, Climategate(s) – all of the “gates” we want to – because that is exactly their game – to debate, dispute, distort, deny the science and precisely to tarnish credibility to keep the American public confused and distracted so that we continue to use fossil fuels, build pipelines, bemoan the price of gas without ever demanding green energy, a green infrastructure and a sustainable economy. Seriously, don’t we have enough to worry about? The good news is that more Americans believe climate change is happening – because they now have direct experience. Mother Nature has taken care of that. We must now, in good faith, move on and continue to expose the denial machine and all of its tactics, while also moving towards the means of curbing any more effects, and ensure we do the right thing as a nation for ourselves and the planet. The jury is out over who faked the document? Are you kidding? It’s pretty clear to this jury member (and probably millions more) that Peter Gleick is the sole author of the squalid little thing. He received it anonymously in the mail? No-one else got it through the mail. Then he sends it out anonymously (Heartland Insider!) to his friends to spread around the web. I’ll bet they’re pleased to be implicated. No wonder he doesn’t show his face. Quite a big thing for a preening self-publicist. Your dislike of Heartland has profoundly distorted your perception. Sure Harry, there’s no doubt that Gleick’s actions are wrong. But it sounds to me as if your dislike for him has clouded your own perception. He’s hardly been hiding and “not showing his face” as you assert. 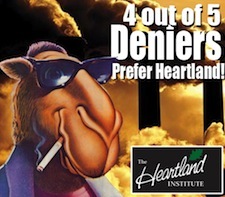 In any case, Gwenn does a great job laying out Heartland’s ongoing and consistent campaign to disparage climate science and sow confusion and doubt where there is none – much on the model of Big Tobacco, another Heartland imbroglio. It will be interesting to see how all this pans out. Until then (on the basis of my perhaps skewed perception) I stand by my view of Gleick and that document. I will retract that if I am shown convincing evidence. And yourself? Since you seem connected in some way to him, will Peter Gleick be making some statement on the web or otherwise publicly? Silence on his part would seem (in a North English expression) shame-faced. And by the way there IS dissent on climate science and no science can ever reach a final position where the last word has been spoken. Fair enough Harry. Sure, I’ll retract any statements I make that are not found to be accurate, but I’m not sure to what you specifically refer. I’ve already said that what Gleick has done is wrong – is that what makes me “connected” to him? The main point of Gwenn’s post was about Heartland’s record, which seems a bit lost here, and which stands pretty much on it’s own without Gleick getting involved. If we’re concerned about Gleicks lies and deception, it stands to reason we are just as concerned about Heartland’s. Finally, sure, there is “dissent” about climate science. Not too much among climate scientists, but then there are those that say they’re all in cahoots to get grant money. I’m sure you’re smarter than to believe that. Gravity is just a scientific theory as well. At some point we will move on. No retraction; Gleick accurately represents the AGW ethical gutter.